I don't even remember why I stopped using the MAC Pro Longwear Concealer. I loved it, it has fabulous coverage, lasts all day and doesn't cake up. Maybe I was trying to save money or experiment but I spent all of 2013 without it and was trying the Mineralize one by MAC instead. That was a good concealer, it worked better under my eyes than on any of my spots because it's not as good coverage wise as pro longwear and it definitely does not last as long. My boyfriend took me shopping one day and I picked up a few things including my MAC skinfinish natural powder in light plus (yes apparently I can wear the deeper one of the light shades). The second I put this concealer on my scarring, current spots and under my eyes I was questioning myself why I ever tried to find a better concealer because I really don't think there is. A tiny bit covers under my eyes and all over the spots on my face. It costs around $23 CAD but I swear it lasts me a year or longer depending on how much I wear makeup over the year. I found I went through the Mineralize one really fast - it's been 4 months and I'm practically out. I think that's because I need to use more to cover since the coverage isn't as great. My skintone is a NW15 so for concealer I just get that because since I am so pale I can't really highlight under my eyes using a lighter shade. I've been using up my light skinfinish natural under my eyes and the light plus on my face so I can do some highlighting but to be completely honest I'm so fair highlighting under my eyes doesn't work. I know a lot of people use this as an eye primer but as I've mentioned before in various posts, my eyelids are so oily even on days where I don't wear makeup I'll have oil buildup in my crease (I also have hooded eyes so that doesn't help....). I feel like my makeup application in 2014 is going to be so much better because I have this in my makeup bag now. What's your holy grail concealer and have you been able to find really good drugstore full coverage non cakey concealers? 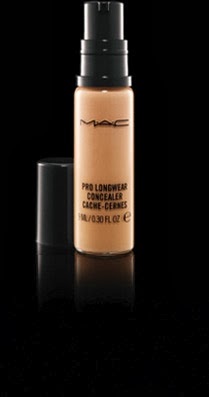 LOVE this concealer! I'm a drugstore girl at heart, but nothing beats this one. The only semi-decent drugstore concealers I have found is full coverage by Glamoflage by Hard Candy and Dream Lumi by Maybelline (Undereye only). I love the Dream Lumi on days where I I just want to brighten up my eyes but not conceal a whole lot. I just hate how its not a multi use product you can use all over your face. I've never tried the Glamoflage because I was afraid it was too thick and would get cakey. I will probably go test it out because it's not highly priced.